Seeing your name on a bottle of shampoo doesn't get much more exciting for a beauty blogger, and I admit that I did a little gasp of delight when a stunningly thought out package arrived on my doorstep. Concoction should be the brand name on everyones lips come the summer, with their mixology technology for couture haircare, I'm surprised I hadn't heard of it before! Here's the skinny; choose a shampoo base to suit your hair type (Lemon Verbena, Bakhour, Rosemary & Mint or Black Pepper Citrus) and mix with your choice of 2 shot boosts of essential actives, extracts and vitamins to suit your needs. 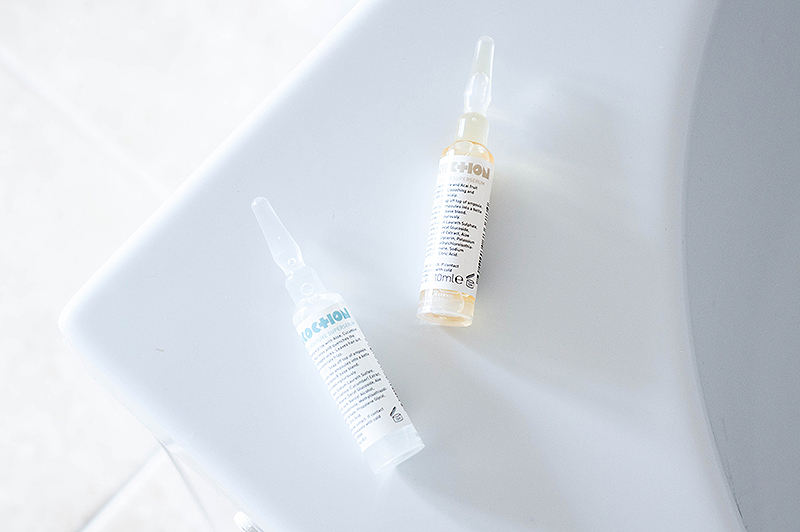 There are currently 8 superserum shots available to mix in with the base shampoo which means there's a shocking 256 unique combinations to try out. I received the Black Pepper Citrus base*, the Cashmere & White Lily conditioner* and two serum shots to mix with. The Gimme More Moisture Superserum* shot gives an intensive moisture surge with Argan Oil and Shea Butter to nourish and refresh dry and damaged hair. Perfect for me when I'm having an unenviable problem with dull and frizzy hair! The other shot was the ever soothing Back To Your Roots Superserum* that contains Aloe Vera and Acai Fruit extracts that calm and soothe the scalp, and ideal pair in my eyes! I popped the seal on the shots, drained the contents into my shampoo bottle, replaced the cap and gave it a good shake. I really loved the process of creating my own 'cocktail' of a shampoo and was even more impressed when it lathered up like a dream in the shower. 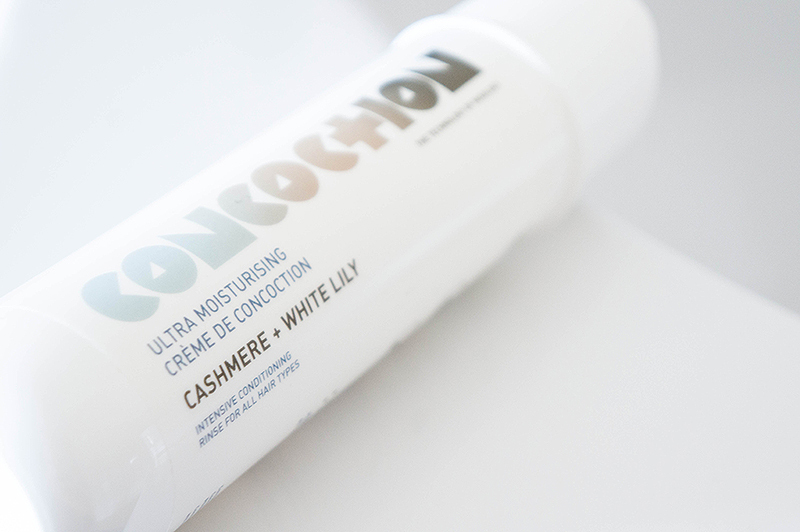 Not only is it paraben and silicone free, but it also contains an ionic system to help battle frizz, static and tangling. A few minutes with the conditioner, which smelt how I imagine heaven to smell like, and my hair was soft, silky and manageable. I even got compliments on how glossy it looked without prompts to the new haircare routine I'd set in place. I'm even taken aback that, a few days down the line, my hair is still going strong and without any greasy buildup or it sinking back into old habits; it still looks amazingly fresh and revived! The best part about all of this? Each personalised Concoction costs a mere £14. 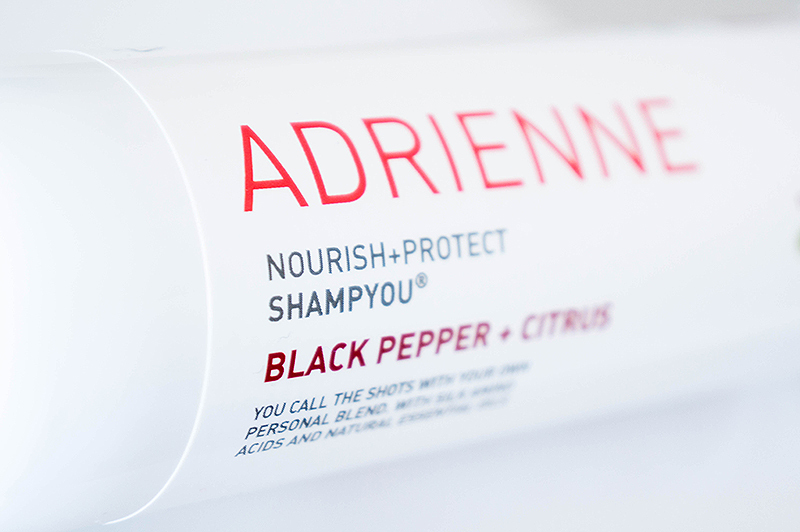 That's your choice of base blend and two superserums that you can choose to suit your year-round haircare needs. I know I'll be picking up a Lemon Verbena with Thermo-Straight Superserum and a Beautiful Brunette Superserum for the summer. If you wanted the conditioner it's £16 and will be a definite re-purchase from me on scent alone. It's hard to find a set of shampoo and conditioner that work with my sensitive scalp and after just a few uses I'm already considering Holy Grail status. Concoction is available at www.concoction.co.uk with worldwide shipping or at BeautyBay.com, BeautyMART at Harvey Nichols, Topshop Oxford Street and Boxpark, Debenhams Oxford Street and Selfridges.com. Concoction also have an Indiegogo project currently running, donations as little as £5 will help them toward their goal of launching into a more varied selection of stores. So go help them out, you'll be glad you did!